once. All fields are case sensitive. We strongly discourage anyone from purchasing our products as loose ampoules/trays or blisters/strips without cartons. 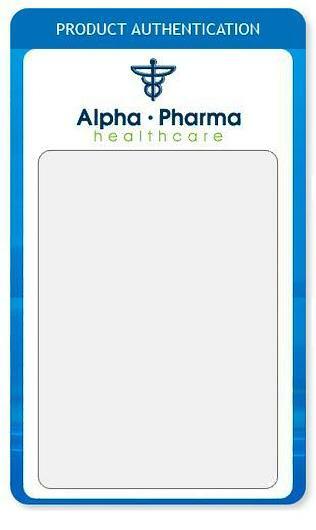 All genuine Alpha-Pharma products are always supplied in a tamper proof carton with intact silver scratch field except for Oral Strips which has no authentication features.